EPIC is a specialized crowd control belt that prevents people from walking between the paver and material transfer vehicle. 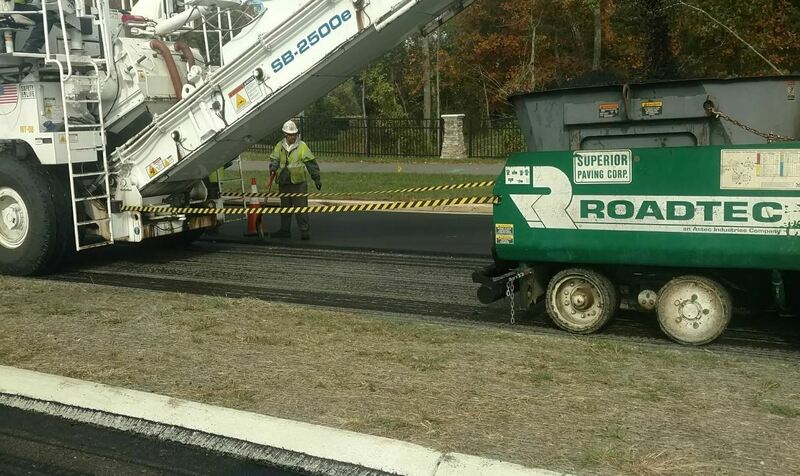 As long as there have been material transfer vehicles, there have been employees walking between them and the paver. “It’s second nature to take the path of least resistance,” said Nick Ellis, the Chief Financial Officer at Superior Paving Corporation, Gainesville, Virginia. Cutting between those two machines can shave 10 or 15 seconds getting from A to B, he added. Although Superior had put policies in place preventing crewmembers from walking between the two machines, it was difficult to enforce. That’s why Superior developed its Entry Prevention Interactive Control, or EPIC, safety system. EPIC is basically a specialized crowd control belt that prevents people from walking between the paver and material transfer vehicle. It’s Superior’s second initiative in the past three years that has earned a Safety Innovation Award from the National Asphalt Pavement Association. INSET 34 words: Superior’s previous NAPA safety award was a result of the company’s roll-off alarm, which was an audible and visual reminder that would prevent truck drivers from exiting their vehicles without applying the parking brake. The idea for EPIC actually began two or three years ago, Ellis said, when the company bought a new Shuttle Buggy that had sensors to detect the paver’s location and set the Shuttle Buggy’s speed accordingly. “When guys would walk between the machines, the sensor goes crazy and starts moving the Shuttle Buggy faster or slower because it can’t tell where the paver is anymore,” Ellis said. Although crossing between those two machines was relatively uncommon, it still affected the Shuttle Buggy’s performance and was an issue of safety. That’s when the idea of a crowd control belt, like those used in lines at movie theaters and airports, began to form. EPIC includes a 65-foot-long, 4-inch-wide crowd control belt that is attached to the material transfer vehicle on one end and the paver on the other. The belt self-adjusts as the two machines move down the road, expanding as the two machines get further apart and contracting as the machines get closer. The entire system is contained within a metal housing attached to the company’s material transfer vehicles. At the start of each shift, a crew member will grab the loose end of the tape, which is attached to a heavy duty magnet, and attach it to the paver. At the end of the day, the crew will simply pull the magnet off the paver and store the magnet and tape back in the metal box on the material transfer vehicle. Retrofitting each material transfer vehicle cost around $1500. To create an EPIC safety system for your company, visit the product page on CrowdControlStore.com, directly available at bit.ly/2Hf24PL, for less than $700. Then, purchase a heavy duty magnet with at least 20 pounds of force to remove from a metal surface from your supplier of choice. Although the real work behind implementing EPIC is done, Superior plans to continue to monitor the results. “We’ll never know if we did or didn’t save a life, but we know we don’t have employees walking between the machines anymore,” Atkins said.